Starring: Steve Carell, Keira Knightley, Martin Sheen, William L. Petersen, Adam Brody, Derek Luke, Rob Corddry, Connie Britton, Melanie Lynskey, T. J. Miller, Mark Moses, Patton Oswalt, Gillian Jacobs, Amy Schumer, Rob Huebel, Bob Stephenson. Maybe it’s to do with the 2012 Mayan prophecy but over the last couple of years, there seems to have been a recent fad of ‘end of days‘ movies. So far, we’ve had Lars von Trier’s “Melancholia“, David Mackenzie’s “Perfect Sense“, Mike Cahill’s “Another Earth” and now this. Of the four though, I’d have to say that this is the weakest. A 70 mile-wide asteroid named Mathilda is on a collision course with Earth with attempts to divert it thwarted. Earth will be obliterated in 3 weeks. Throughout this time, Dodge (Steve Carell) and his British next-door neighbour Penny (Keira Knightley) strike up an unusual friendship and embark on a road trip that should suit them both. Dodge wants to track down the real love of his life and Penny wants to get back to Britain to spend her remaining days with her family. Along the way though, things don’t turn out exactly as planned. The major problem with this film is that it doesn’t know what it wants to be; it starts off with some sharp observational and gallows humour but doesn’t manage to be a laugh out loud comedy. It then delivers a serious dramatic tone – while pitching in elements of science fiction – which, surprisingly, bog it down in tediousness from which it never recovers. The genre in which it is most suited is romantic-comedy but the characters are dull and their situations even more so. It also suffers from an extreme lack of pace. You’d think that a film that delivers a premise of the entire earth having 21 days to live would have a bit of urgency about it. You’d also be forgiven for expecting some ridiculous ‘bucket list’ scenarios but it simply doesn’t provide them, despite threatening to on occasion. There are sporadic moments where it promises to get it’s groove back but ultimately falls into a slow and meandering cross country love story that, for the most part, is dreadfully uneventful. Steve Carell is starting to annoy me in these kind of tragic, everyman, loner roles and I’m not a fan of the snobby Keira Knightley at all; I can’t get over the fact that she always comes across as if she was born with a silver spoon up her arse. There are some welcome appearances from the likes of Martin Sheen (who needn’t have bothered) Patton Oswalt and William L. Petersen – the latter in particular getting a much needed humorous scene involving the expected appearance of a hitman. It’s little moments like this that make the film all the more frustrating; it shows glimmers of great potential but doesn’t stick to what it does best and ends up being tedious and melancholic. After all this has (finally) passed by, the film almost redeems itself at the end with a lovely and touching moment between the protagonists but by then, it’s too little too late. Despite not being a massive fan of the two leads, I was intrigued by the films premise. That being said, any potential it had was floundered by delivering scene after scene of mind-numbing emptiness. This entry was posted on November 22, 2012 at 2:33 pm and is filed under Comedy, Drama, Romance with tags 2012. You can follow any responses to this entry through the RSS 2.0 feed. You can leave a response, or trackback from your own site. nice review mark. I was actually enjoying the film in the early going but the romantic stuff never clicked for me. Hey thanks Amon. At the beginning I really thought it had something. It’s sense of humour looked sharp but it seemed to drop that (almost entirely) and the rest of the film became painfully boring. Such a shame as there were definite possibilities here. Thanks for stopping by man. Not with a whimper but a bang, hey Mark? Maybe Keira needs to learn to speak American. That high brow accent of hers can be off-putting. But her bio says she didn’t go to any fancy schools just public, thats the opposite of private here in the states, she was even thought to be dyslexic. She could do with a few more pounds as well. Still don’t see why she would do this film though? I really can’t go the woman Ray. I remember hearing that she went to a public school but I’ve never met anyone that had an accent like that. That’s as posh as they come man. To be fair though, the films quality wasn’t just down to her. It would have struggled anyway; it didn’t get the balance right. Good to see you stopping man. This has to be the only major disagreement I’ve had with you. I thought everything clicked and meshed together for one heck of a movie. My review will be out in two weeks or so. Great review as always though. Thanks for stopping Alec. I really didn’t take to this at all. I found it to meander dreadfully and couldn’t make it’s mind up on wether it wanted to be serious or not. I thought it could have been so much better. However, you have me intrigued on your thoughts. I’ll look out for your review. Thanks Ryan. I know what you mean but I wish I had that indifference to it. I suppose I had expectations and it certainly never lived up to them. Good review Mark. 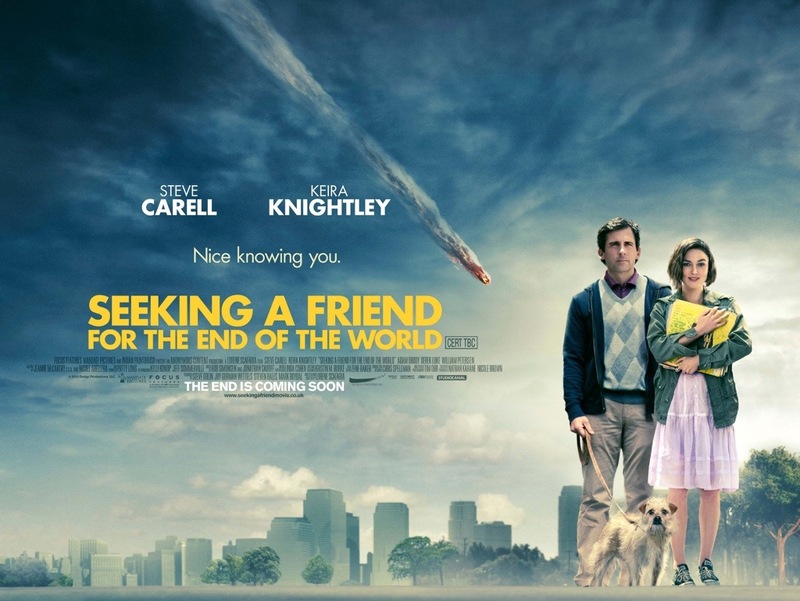 A totally uneven film, but somewhat lifted up by Carell and Knightley’s performances. Hopefully, Keira picks up more comedic roles for her because she’s actually pretty damn good at them believe it or not. Thanks Dan. I’m really not a fan of hers although, I have to say that she wasn’t that bad in this. Her performance was decent, I just don’t like her personally. She grates on me. Carell is starting to do the same as well so u suppose in that respect, the film never really had a chance with me. I loved their odd dynamic…but the film was so blah. I was very disappointed man. I used to like Carell but I’m getting a bit tired of the same of schtick from him. He either can’t get a woman or his woman has left him and some other woman takes pity on him. Near enough every film he’s in these days has this in some form or another. I loved the idea of the this film but the execution was a borefest. The last time where I thoroughly enjoyed a Carell performance was in Little Miss Sunshine but since then he’s not been cutting it for me. And don’t get me started on Ferrell 😉 You know how I feel about him. That being said, it wasn’t entirely the actors faults here. It was the script and the pacing. If it had kept in check with it’s sharp humour, this could have been good but it chose to get all morose and dragged it’s feet a bit too often. Wasn’t impressed man! Ouch, sorry you didn’t like it more. I was very moved by the movie and I loved Carrel’s work here, he was so reallistic and I found hsi character to be very admirable, especially in the ending. Maybe my expectations were too high Sati but I found it quite boring. Carell and Knightley weren’t all bad but I’m just sick of seeing Carell play these type of characters. Knightley on the other hand just annoys me. It’s Keira’s fault right? Y’know I like Carrell too but I could see why you’re tired of seeing him do a similar role so often. As for pouty Keira, well she’s not my fave either. Very disappointing film Ruth. This could have been so much better. Carell was on auto pilot and like you say, Knightley just doesn’t cut the mustard. I was bored to tears throughout this. I understand your points here Mark, and I agree that it could have used its potential a little more, but overall I thought it was a pretty good film. The touching moment that you mentioned I actually didn’t like, their relationship had been painted quite subtly and nicely but that moment just went overboard. I felt that the dialogue just became completely cliche, as if the film lost faith in itself. Haha! Yeah, the bills keep coming through the door. 😉 I hope you like this film better than I did. I did have some expectations but it’s certainly didn’t live up to them. Sorry to clutter up your comments, but I’ve been trying to fix the link connected to my WordPress profile and noticed it’s still not working. Giving it another go. Great review, Mark. Just saw this yesterday, actually and liked it a bit more than you did. I had no trouble with keira Knightley and I thought she was fantastic. Agree on Steve Carrell, I’m tired of him playing the depressed loser/loner. ENOUGH ALREADY. My biggest issue was the unnecesary romantic turn their relationship took. Besides, they had ZERO chemistry. The premise of this one sounded interesting, which would be a rarity for Steve Carell movies in my eyes. Too bad it doesn’t sound like it lives up to it. Good review, Mark. Thanks Morgan. I share your feelings on Carell. I used to like him but of late, it’s same old, same old. It’s tiresome. If your not too enamoured by him then you might feel the same way as me on this film. That being said, a lot of people seemed to enjoy it. As I was saying in Justin’s (TIWAM) review…I’ve had this disc sitting on my shelf from Netflix for like 2 weeks and I just can’t bring myself to get excited for this film. I enjoy Carrell but I tire of him easily. Maybe I’ll just skip it. I’d save yourself the time Andy. Some people did like this but it wasn’t for me. Very slow and uneventful. It may be one that I start and turn off before I waste too much time. Or maybe I’ll just send it back, who knows. I became recommended this fabulous website by using my own step-brother. My business is no longer selected no matter whether this kind of post is definitely written by him or her when nobody understand such specific regarding my own trouble. You happen to be unbelievable! Many thanks!